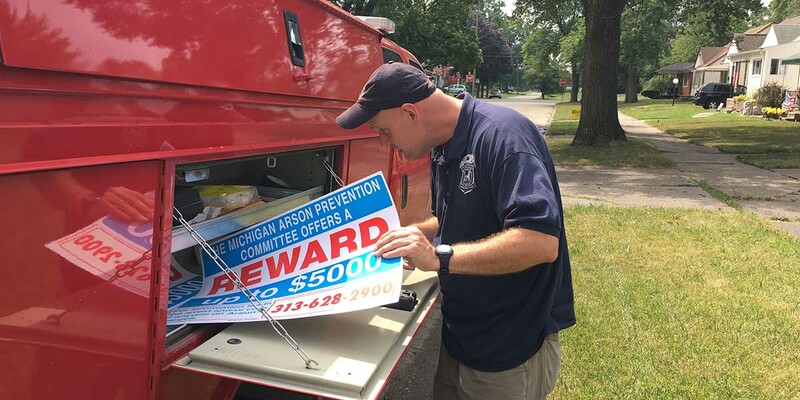 Utilize civil forfeiture to seize the assets of arsonists and direct that money into funding this committee. Because, as we all know, arsonists have huge homes and drive Mercedes. No, the answer is that the state should be providing most of these services, but has cut taxes so much it's threatening to end the Mackinac Bridge walk for lack of funds. Also, if you feel so strongly that state government has been starved of funds, there is absolutely nothing preventing you from opening up your own checkbook and writing a check to the Michigan Department of Treasury in whatever amount you feel is necessary to assuage your troubled conscience. I highly doubt that they would not accept it. I already gave at the office last night. A self fulfilling prophecy. Collect $$$ to fund a committee does little/nothing to get the $$$ to where they need to go - to the people who reveal the culprits. My family home of 42 years that my parents bought in 1976 was just burned to the ground. why because (she & her brother) thought being married into the family for 6 years meant the house was theirs. I evicted them 2/1 and 2/3 the home was burned to the ground, my fear? They will get away with it. A man from Lowell Mass. was just released after over 30 years in prison because the police and fire department framed him in part so they could get money from a fund like this.